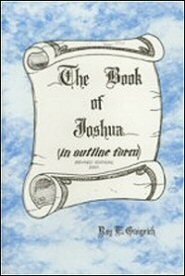 The book of Joshua has long been recognized as an important book because of its historical contributions and its practical teachings. The twin themes of obedience and trust, resulting in conquest and victory, weave themselves through the book and are pertinent to Christians today, to those Christians desiring to leave the wilderness of sin to live a life of victory and rest in “Canaan land.” In this commentary, Brother Gingrich has once again uncovered the riches of God’s Word and helped to reveal its wisdom as only he can do. One finds his style simple enough to satisfy the novice and yet complex enough to equal and exceed the demands of even the most advanced Bible student.